This newly re-built one of a kind masterpiece known to everyone as the âSherman Parsonageâ is now available. This iconic Old Post Road historical home is completely remodeled from the framing to the final detail. 8 bathrooms and 5 bedrooms. New EVERYTHING. This house has all new framing, spray insulation, plumbing lines, electrical, siding, roof, deck, patio, garage, 3 fireplaces, marble tile bathrooms, two furnaces and two on-demand water heaters. The kitchen has a double door wine wall that holds 550 wine bottles and a 10âx10â quartz island. The appliances include a 48â subzero refrigerator, a 48â wolf range, ice maker and a beverage cooler. When you walk into this house, you see the winding staircase, exposed original 1816 beams, 10 foot ceilings and handcrafted masterful trim everywhere. While the spirit of the history surrounds you, this house is filled with modern desires. Open floor plan, double colossal walk-in closets in the master bedroom, double master vanities, a finished walk-out basement and finished attic, both with full baths. The house includes a large walk-in pantry and mud room that also includes a "doggie showerâ for todayâs family. This house is filled with history. 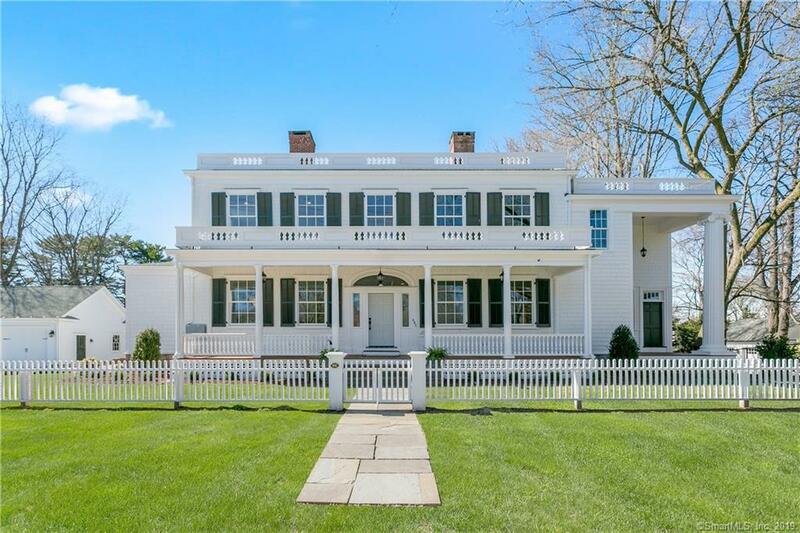 Built and designed by Roger Minot Sherman, nephew to Roger Sherman who signed the Declaration of Independence and the Constitution. It stands statuesque alongside the famous wide street of the Old Post Road. It is truly one of a kind which could never be duplicated. Broker is also the owner.